Well is UNC Internal Elections weeks folks and I want to start with a rousing VIVE LE BAS! The veteran politician comes out swinging in these last few days before the internal elections promising legal action in light of voter list irregularities already apparent in the UNC. 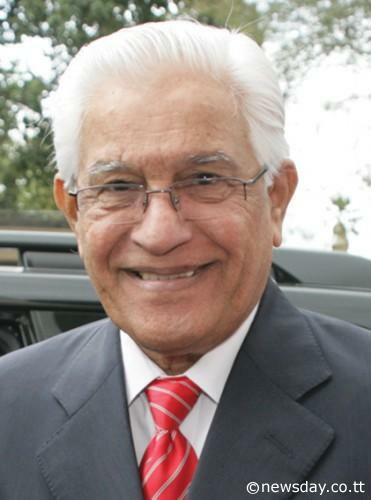 Roughly 25,000 people are eligible to vote on the UNC voter list, a list that De bas alleges Roodal Moonilal refuses to make available to him. I don't think Take Back D UNC stands a chance at this internal poll, and NACTA's latest poll seems to be having the same feeling. but I think that for Bas to provide an alternative slate for people fed up with the sewage passing for leadership in this party is a commendable thing....VIVE LE BAS!!!!! 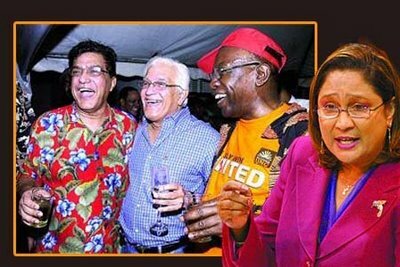 Sando Mayor Marlene Coudray has jumped the COP ship and is now seeking a position on the UNC Executive slate.....and it seems Prakash wasn't told.....oh no! Well Marlene, what I go tell you...you clearly find if everybody else going to eat ah food, you want to sit at the table and eat ah food with them too, eh! I love these selfless politicians we have here. The COP bleed has only just begun.....expect to see more COP vampires heading over entirely to the UNC in search of a better feeding ground. 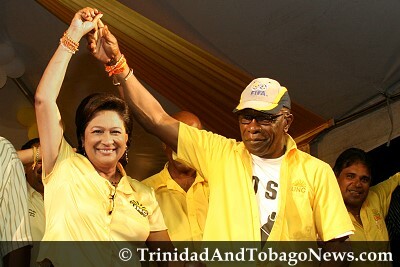 It seems the next 5 days will make or break Jack Warner. The party cobos seem to already be circling waiting on his corpse. Soon we will see if the concerted campaign that has been waged against Warner has worked. The list of nominees for the UNC Internal Elections are here. In TCL news, it appears that Mayo villagers facing the brunt of this industrial dispute as their water supply has been disrupted as part of recent measures to deal with the strike. In more environment news, the government that just last week shut down quarrying in the Blanchisseuse Valley is currently considering cutting through several valleys to build a road from Morvant to Tucker Valley. I just love how they mindful of the environment. And, in further Calder Hart Quarry follow up news, EMA CEO admits that all mining activities at the quarry were legal and all procedures were properly followed. So, again...WHY WAS THE QUARRY SHUT DOWN???????? Imagine the name Sunway Construction and Calder Hart have this much influence over a government, boy.....how much more business the People's Panchayat doing with Sunway boy???????? Anyhow folks, keep an eye out for Shoppin Toppin and JAck Warner this week.....the two of them under pressure....and pressure does buss pipe.